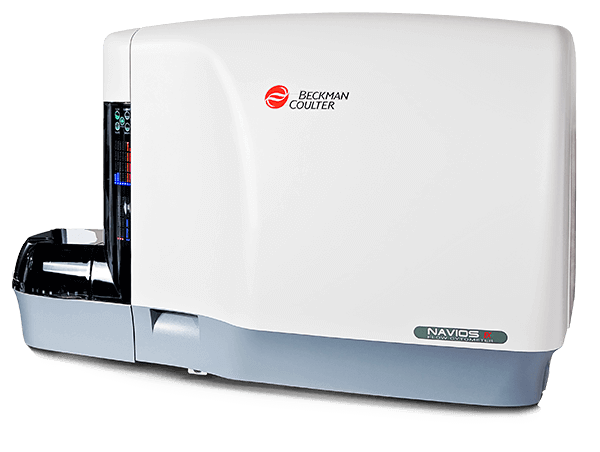 The Navios EX flow cytometer offers a solution for advanced cytometry applications with workflows for high throughput laboratories. This is the next generation leveraging the laser and optics technology of our successful CytoFLEX research platform. This instrument offers 10 colors using 3 lasers. This configuration includes two fluorescent channels from the violet (405 nm) laser, five from the blue (488 nm) laser and three from the red (638 nm laser).